Taking another tack is a duo of researchers who met at the University of Wisconsin—Madison. Designer Marianne Fairbanks had been developing commercially-available solar bags for years before becoming an assistant professor in Design Studies at UWM. As soon as she arrived, she sought out a partner to help her improve the solar technology in her designs. She found exactly what she was looking for in Trisha Andrew from the Chemistry department. Andrew has dedicated much of her budding career to developing lightweight solar cells. One of her most notable research areas has been in solar cells made from organic dyes, which Fairbanks wanted to try pairing with textiles. Andrew has continued her research at the University of Massachusetts—Amherst, printing solar cells by combining nanoscale printing with optoelectronics for solar textiles. 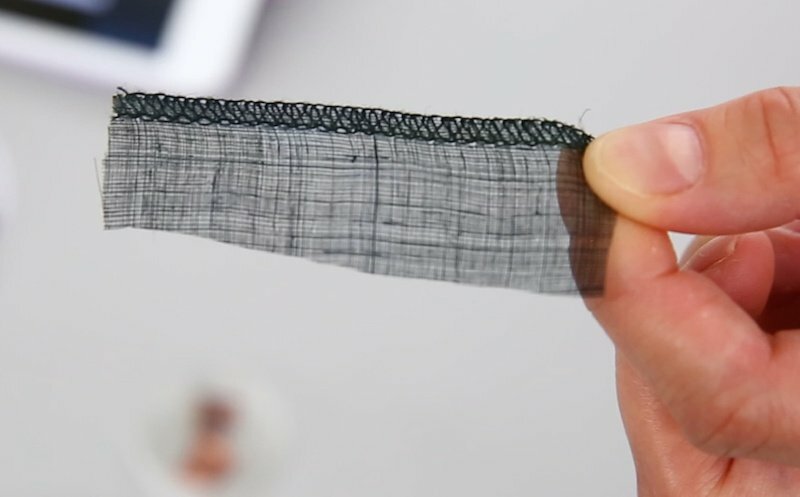 So far, not many solar fabrics have hit the market. As the technology progresses, perhaps we’ll see more versions become available for designers to incorporate into devices. 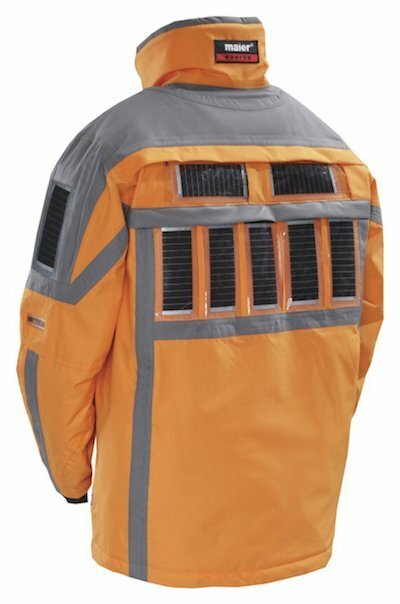 Solar-powered jackets and bags have been floating around for years (such as the one below, created by Maier Sports) but many of been novelties, showing proof-of-concept. This is largely because thin, flexible solar cells are still quite expensive to make. In this case, it appears that the difference between prototypes and marketable products is what innovation comes out of researchers’ labs and how engineers can utilize it in a cost-effective way.